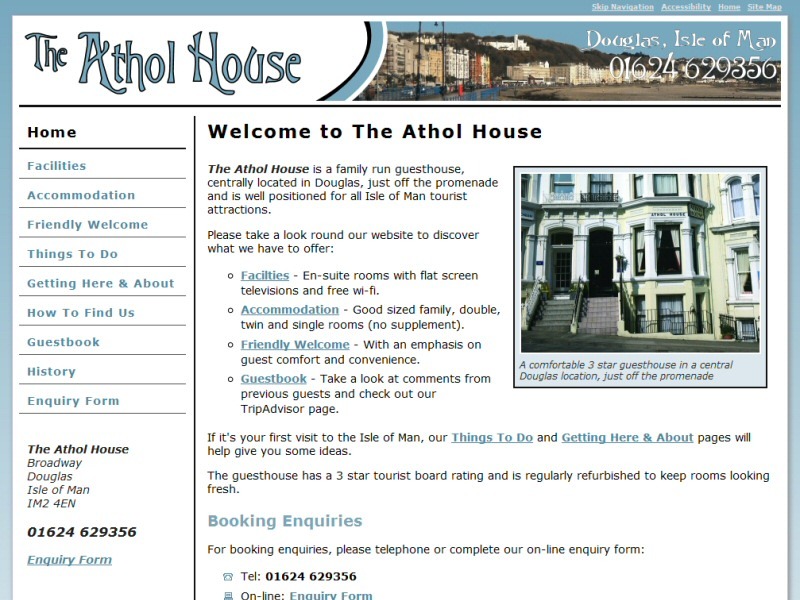 An affordable website designed for a guest house on the Isle of ManEasierThan Website Design believe that you can produce a good quality website that gets results for a reasonable price. Although we can't answer the obvious question of "How much will it cost me?" without talking to you about your specific requirements, we can give you a rough idea of what to expect. An introductory website providing a basic "we're here, this is what we do, give us a call" facility costs between £250 and £1000, with an annual maintenance cost of £50 to £150. Website Template - A unique, attractive, but above all Functional Web Design created with the real aim of generating calls for your business or interest in your organisation. Domain Name(s) - One or more website addresses (e.g. www.yourname.co.uk) registered in your name and managed by ourselves, along with third party annual web hosting. Where another supplier currently has control of it, we will also arrange transfer to your name where feasible. Take a look at our Replacing Existing Websites page for details. Email Addresses - Using your chosen domain name (e.g. info@yourname.co.uk), these can be pointed to an existing Hotmail or similar account, or we will create an inbox and set-up your PC, tablet and / or mobile phone to access it. Quality Content - To encourage good results in Google and provide an informative site for potential customers, we believe in unique, good quality content. Don't worry though, there's no need for you to write anything - unless you want to. We will interview you and create the content for you to review. Search Engine Optimisation - Unlike many web developers, we include the cost of getting your website found in Google in our initial quoted price. After all, in most cases, the point of a website is to generate calls and it won't do that if no-one knows it is there. If you're in a highly competitive market, we also offer ongoing SEO Services. Genuine Advice - We will listen to you, discuss your specific needs and give an honest evaluation of how best to achieve them, even if that means suggesting that a website from us is not the ideal solution! Local Supplier - Not someone on the end of a telephone in another town, region or even country who doesn't answer messages, speak your language or who wants money every time you breath. 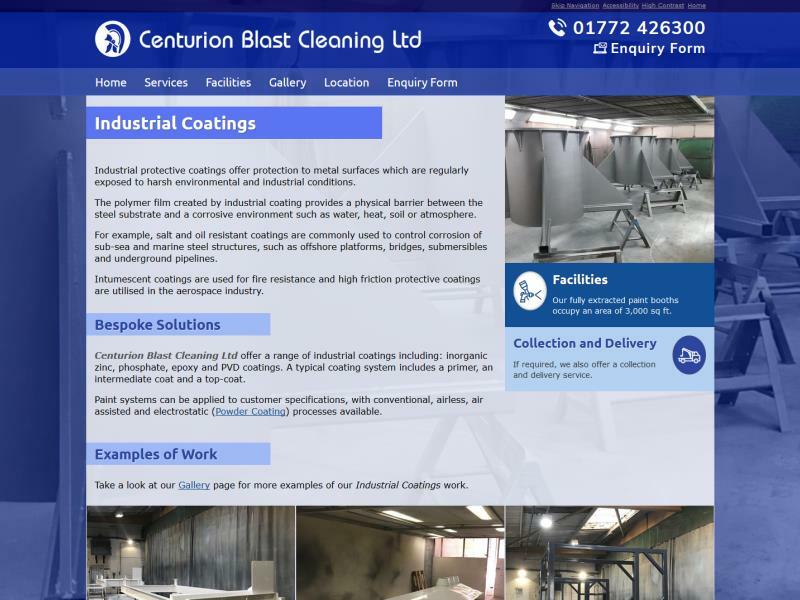 Simple two page here we are, this is what we do website for a Blackpool customerFor any website, the actual cost will depend largely on what you hope to achieve. If you want to generate calls from Google searches, the number of services or products you offer and the competition for them in your target area will be significant influencing factors. 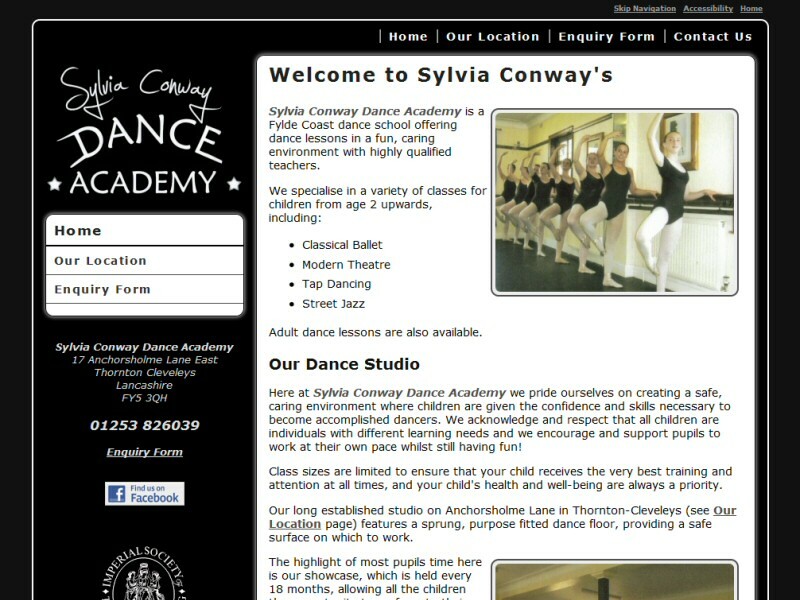 There is no "one size fits all" and any web designer offering you such may produce a less than satisfactory end result. Now, when someone says a website might cost you as much as a grand, we understand it is very tempting to look at the £99 start-up and £15 a month Build Your Own Website Solutions that litter the internet. In many cases though, these require you to write your own content, design the layout and read up on how to promote it yourself. This means they often remain a project on the back burner, forever waiting for that elusive spare day. Plus, in real terms the fixed price idea doesn't add up. Consider for example the difference in competition between a chimney sweep and a builder. With so many builders about, would you expect them to get away with the same advertising spend as a chimney sweep? So, a few years later and several hundred pounds lighter, many businesses find themselves starting again, because their cheap website looks terrible, is not user friendly and most importantly, has not generated any enquiries. Our aim is to ensure that the above doesn't happen. Before giving you a quotation, we'll meet up with you for a free no obligation 1 to 2 hour consultation to discuss your particular goals. The price we offer will be one we feel is sufficient to achieve those goals. Are we the cheapest? No. Are we very expensive? No. Do we focus on end results, like generating sales calls? Yes. Are we honest and reliable? Yes. Do we answer phone calls and emails? Yes. Will you be able to get changes done to the site two years on? Yes. Successful reasonably priced website created for a business in Leyland, near PrestonIf price is your only motivator, then EasierThan Website Design is not for you, but if you're looking for a website that works, then we may be able to help. In actual fact, although a website seems like a big outlay, when done properly, it can be a very cheap form of advertising compared to the alternatives. Consider that a quarter page advert in a local magazine might cost upwards of £100 a month and therefore £1200 a year. Many websites cost less than that over 5 years and are available 24/7 to anyone with a computer, tablet or smartphone. Currently paying the earth for adverts in Yellow Pages and / or Yell.com? Why not let us quote you for a website to replace them? EasierThan Website Design offer Website Design with an emphasis on functionality, usability and most importantly, end results.